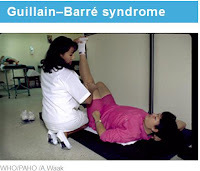 Two years ago, in Zika, Dengue & Unusual Rates Of Guillain Barre Syndrome In French Polynesia, we saw our first hint that the Zika virus might be more than a mild, self-limiting viral illness. Since then - while causality remains unproven - we've seen increasing evidence suggesting the virus might be responsible for both microcephalic birth defects and GBS. Today Eurosurveillance published a dispatch describing two recent GBS cases on the island of Martinique, both patients still presenting with detectable viral RNA in their urine two weeks (Pt #1) and three weeks (Pt #2) after the onset of neurological symptoms. While this doesn't prove causality, it adds another incremental piece to the Zika/GBS puzzle. Two cases of Guillain–Barré syndrome (GBS) were diagnosed in January 2016 on Martinique, a French West Indies island of 390,000 inhabitants. Both patients were found to have ZikV in their urine at hospital admission. An outbreak of Zika virus (ZikV) infections has been ongoing on the island since December 2015  and spread rapidly, with more than 1,000 estimated cases per week in 2016 . ZikV infection is usually benign, when symptomatic. The disease is a dengue-like syndrome, characterised by fever, headache, retro-orbital pain, non-purulent conjunctivitis, maculopapular rash, arthralgia, and myalgia. The symptoms last for four to seven days and are self-limiting. 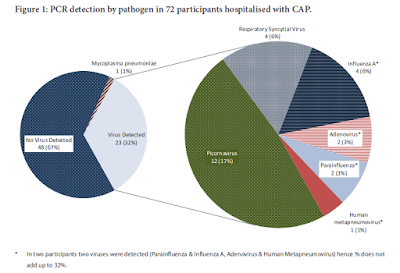 Recent ZikV epidemics in French Polynesia, Brazil and Central America have been associated with Guillain–Barré syndrome (GBS) outbreaks, the probable link between these two diseases was made based on serological and anamnestic data [3-6]. This report has introduced two patients with GBS who had concomitant ZikV viruria. However, the detected asymptomatic prolonged excretion may not be related to the neurological symptoms. The average annual incidence of GBS on Martinique is close to eight cases per 390,000 inhabitants (data not shown). An association with ZikV infection has to be confirmed on further cases. Potential physiopathological mechanisms of ZikV-related GBS should be explored. Viral excretion in urine was longer than 15 days in our patients, whereas RNA detection in blood was negative. We think that ZikV viruria needs to be investigated for a period longer than 15 days after onset of the neurological symptoms in GBS cases. We have to investigate if the genito-urinary compartment is a sanctuary for persistent replication.